Many organizations assign SAP Business ByDesign user access rights on an individual basis for multiple people who perform the same tasks. While this is doable, it is not the most effective way to maintain user access rights in ByDesign. Assigning access rights on an individual user basis will require additional administrative overhead that in most cases can be avoided. For example, if a new employee is hired, you would need to create new user access rights to which you have to specify permitted work centers, work centers views, and restrictions for each view. This can be cumbersome if you have 250+ employees of which 200 are warehouse users performing similar tasks. This is where the use of Business Roles in SAP Business ByDesign can help your organization get organized. A Business Role is a set of access rights that you can assign to multiple Business Users who perform similar business tasks. When creating and editing a Business Role, you can easily assign work centers and work center views, and define access restrictions for each view. In this blog, we will demonstrate how to set up Business Roles in SAP Business ByDesign. In our example, we will create a role for warehouse employees who only require access to a few work centers to perform their daily warehouse movement tasks. Access the Business Roles view from the Application and User Management Work Center. In the Business Roles view, click New > Business Role. Under the General Tab, enter Business Role ID, Business Role Name, and Description. In the Users Responsible section below, assign employees that will be responsible for maintaining this Business Role. Access the Work Center and View Assignments tab. Under this tab, you assign the required work centers and work center views to the Business Role. In our example, we’ve assigned the Execution, Inbound Logistics, Internal Logistics, Outbound Logistics, and Physical Inventory work centers. You can check off whatever user access your organization may want to provide to the warehouse employees. You can also restrict specific views that you may not want your warehouse employees to access. By expanding a work center, you’ll be able to see the views associated with that particular work center. 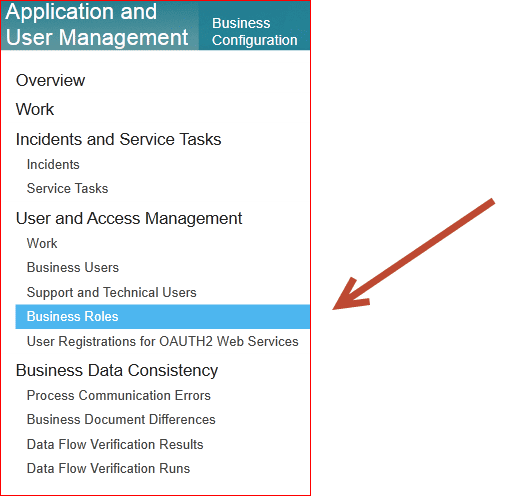 From here you can check or uncheck the “Assigned to Business Role” column as needed. In our example, we unchecked Warehouse Request Run and Warehouse Request Views from the Inbound Logistics work center. This view allows you to restrict the read and write settings for any work center view you’ve selected in the Work Center and View Assignments tab. Under the Read Access column, you can select between Restricted and Unrestricted access for your users. If you select Restricted, it will not appear under the user access for the employee. Under the Write Access column, you can choose between Unrestricted, Restricted, and No Access. When assigning No Access to employees’ user rights, they will not be able to read or write to the view, and it will not show up on their dashboard. Make sure to set the Restriction Rule to Restrict to Employee only. Go to Actions and select Activate. Your Business Role is now active and available for assignment to business users. Now that we have created a Business Role, we need to assign it to our users. As we have created a Business Role we no longer need to scroll, locate and select each and every work center to be assigned to the users. Instead, we simply assign our newly created Business Role to the desired users. Access the Business Users view from the Application and User Management work center. Search for the Business User that you need to provide Business Role access to. Go to Actions and select Assign Business Role. In the Action Dialog pop-up, select the Business Role ID you created earlier and click OK. The administration part is now complete. You have set up the Business Role and assigned it to a user. Log into a warehouse user’s account in SAP Business ByDesign. Review the Work Center and views. If you feel that the Warehouse Business Role will need more Work Centers, simply update the Business Role. You do not have to update individual user access. 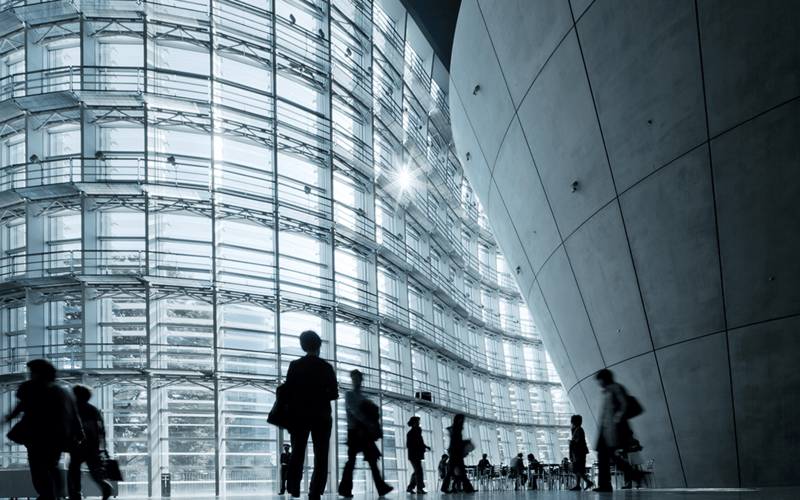 Your organization is now fully functioning with an active Business Role. Business Roles in SAP Business ByDesign can be created for any type of business operation (e.g. Accounting, Supply Chain, CRM etc.) in your organization. You have the ability to make the use of Business Roles more complex by assigning one or more Business Roles to a Business User, but we’ll save that for another blog. 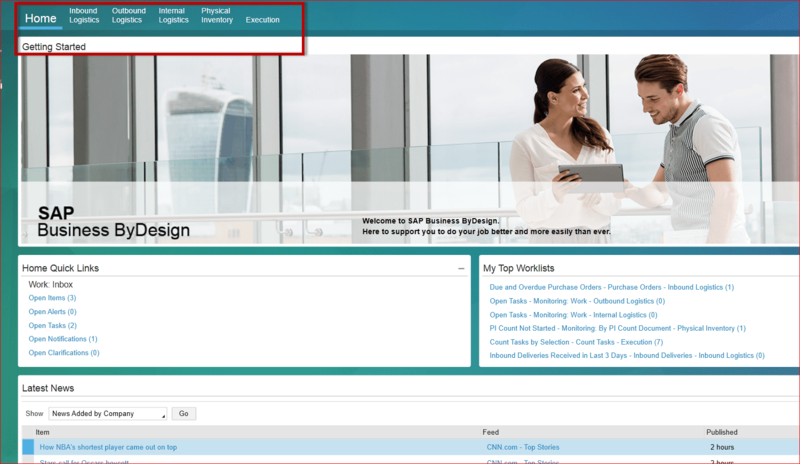 Please contact us by filling out the form below for questions or assistance with SAP Business ByDesign.